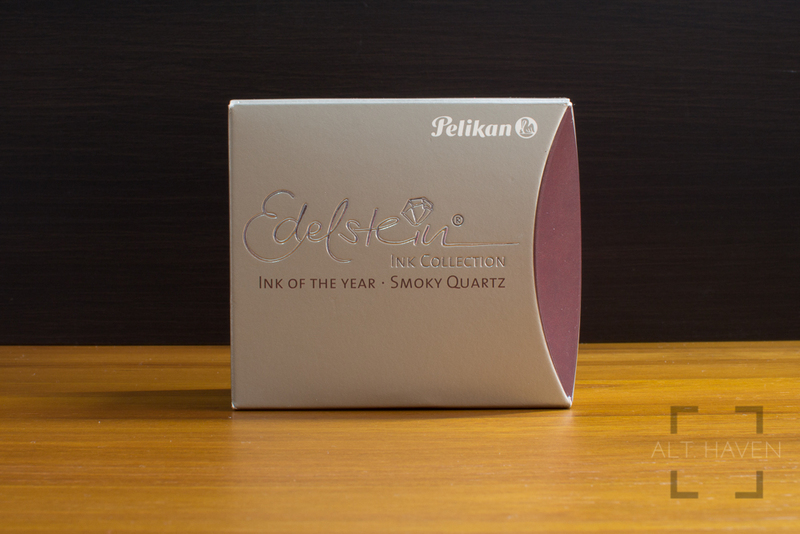 Smoky Quartz is Pelikan’s 2017 ink of the year. 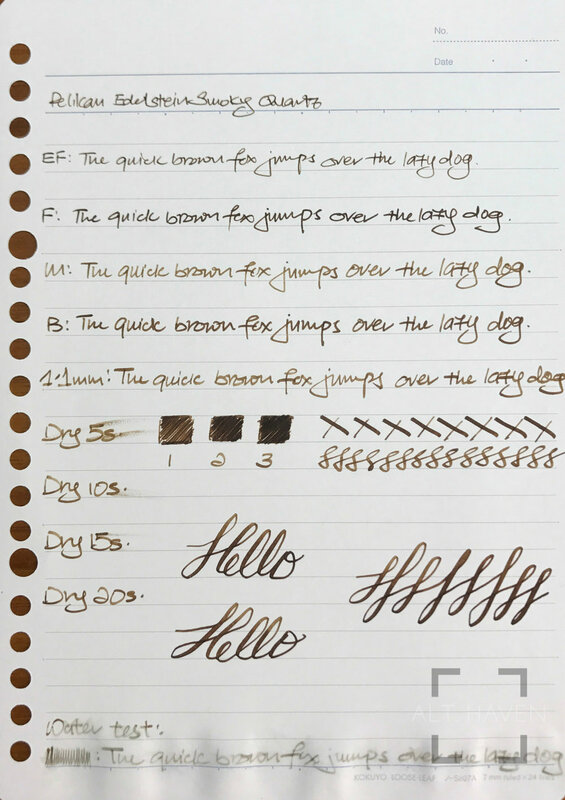 It’s a brown ink that has a grey undertone to it. 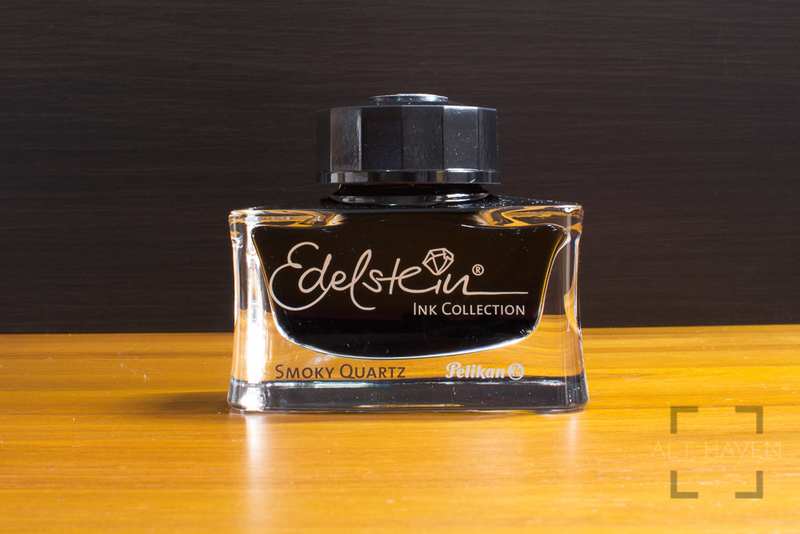 It shades easily even in my Japanese fine nib. It goes from a deep dark brown to a muted grey-yellow / brown. 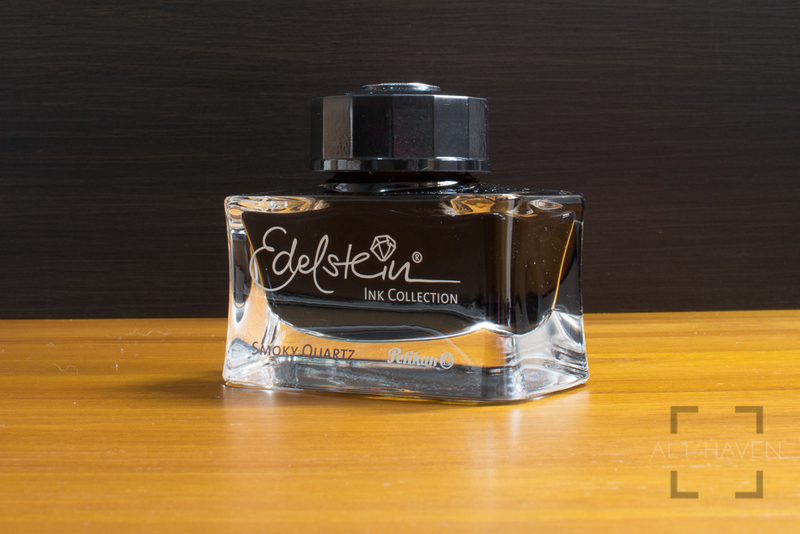 It’s an attractive colour with a vintage feel. 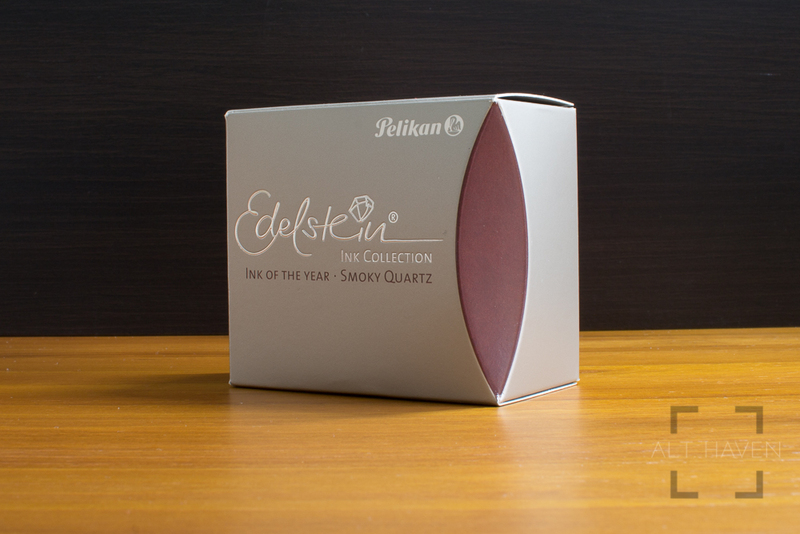 The Pelikan Edelstein Smoky Quartz doesn’t feel particularly dry for a Pelikan ink. 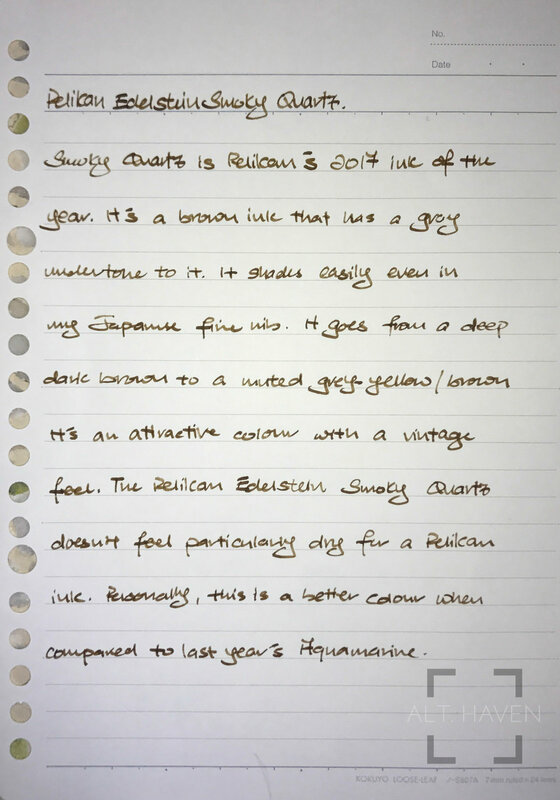 Personally, this is a better colour when compared to last year’s Aquamarine.